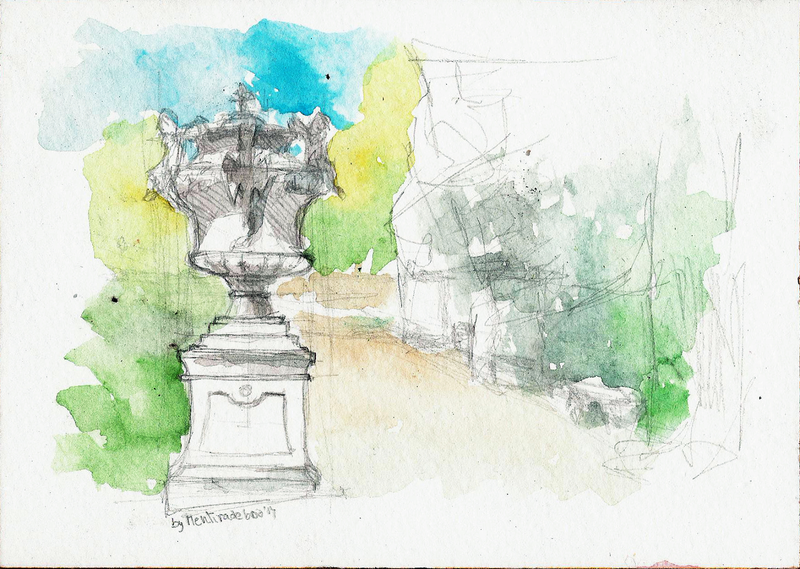 Fast sketch drawn in situ in the Royal Gardens of La Granja de San Ildefonso (Segovia) Spain. The work has been created with pencil and watercolour. 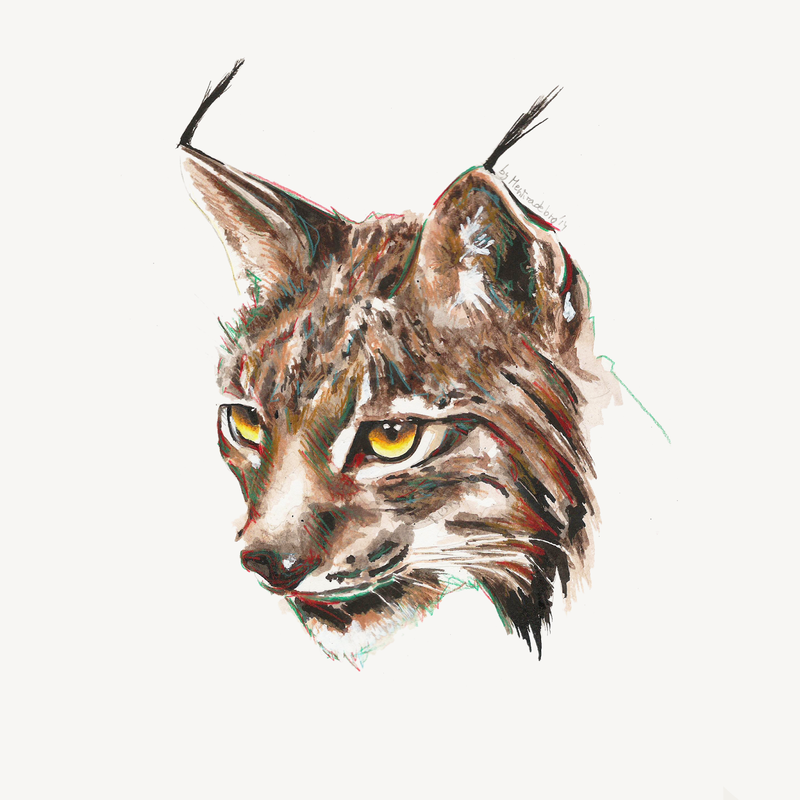 Lynx (Study) Created with watercolour and coloured pencils. 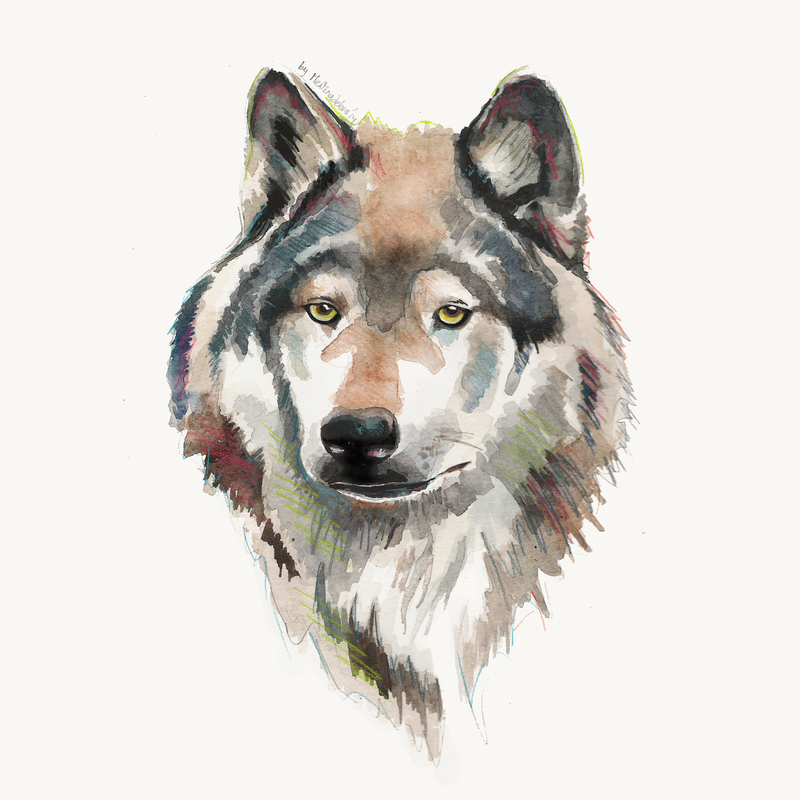 Wolf (Study) Created with watercolour and coloured pencils. 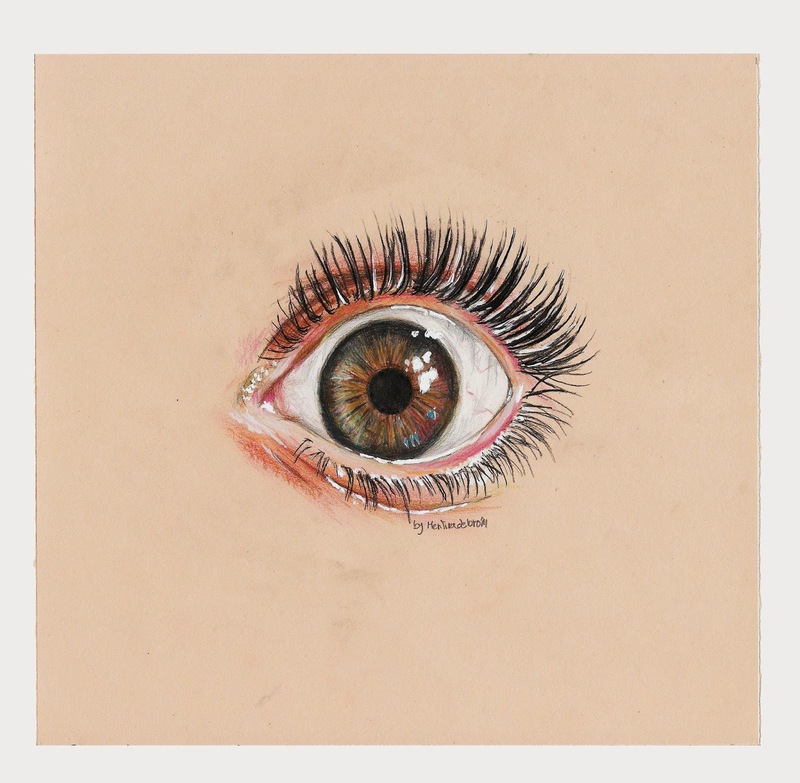 Eye study (Realism). The work has been created with pencil, colored pencils, watercolor and pastel. 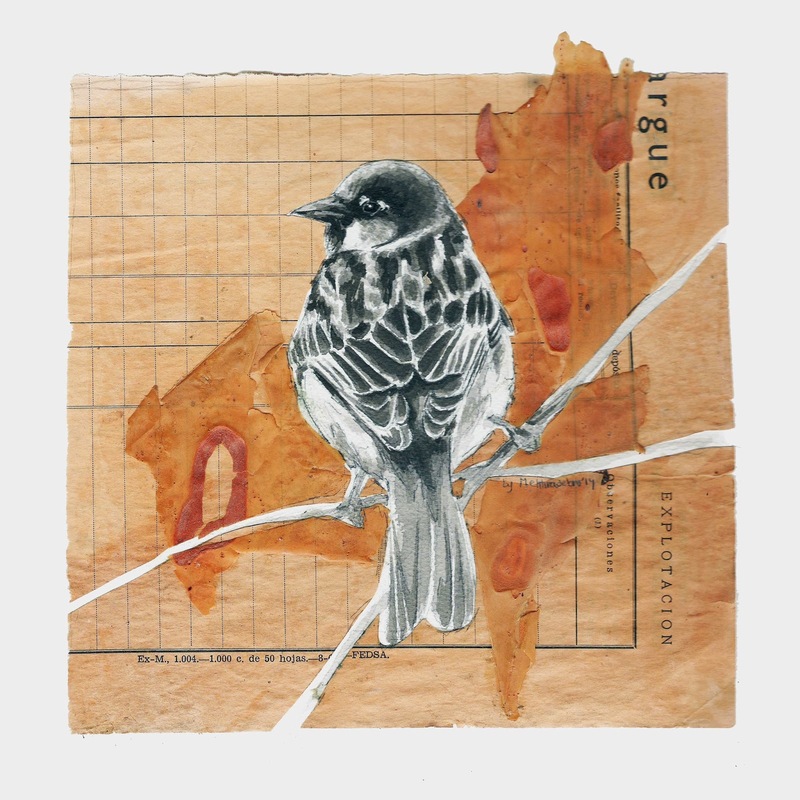 Sparrow study. The work has been created with India ink and the background with authentic tree bark.